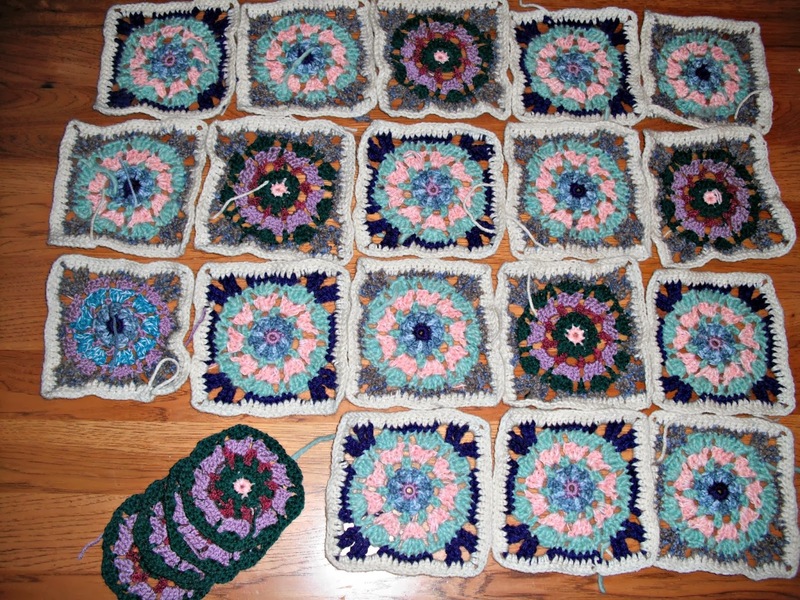 I've made some progress on my Circle Fun Granny Square Blanket lately. If you would like to grab the pattern, you can do so here. It's not quite perfect but I'm working out the bugs. So far I can cover a 2 x 2.5 foot area roughly. It's not as far as I had hoped but I got sidetracked. I made my Parisian Skirt, the Easiest Ever Jewelry Set, I am sketching out some new clothing pattern ideas, and am reorganizing my studio. Reorganizing is hard work. What do you do with all that stuff?? I think if I get shelves to hold it all, there will be no room to work. I did manage to get to the craft store this weekend and got to cross off a few things I needed for some projects. I picked up some ball point needles, white serger thread, and elastic thread. None of these items were from my Reading Makes me Want to Buy Things list, though. Perhaps it's better that way. New items means new projects that I won't be able to do for a long while. I love your grannies! It would be and amazing blanket! Thank you. They remind me of little pinwheels somehow. I'm working on another batch of 7 right now. It's certainly a yarn-stash busting project.